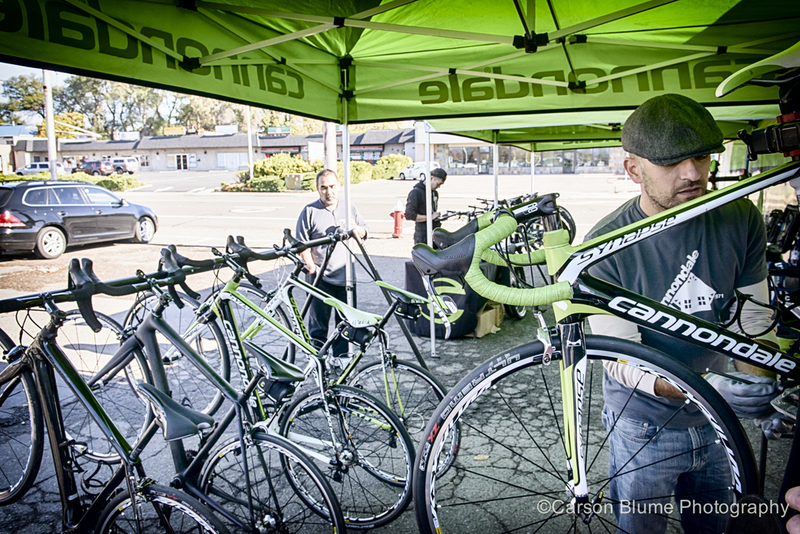 The Cannondale demo weekend, with green grass to boot! You might think a demo weekend in mid november would be well, chancing it, but it seams that indian summers have gave way to fall is the new second spring? 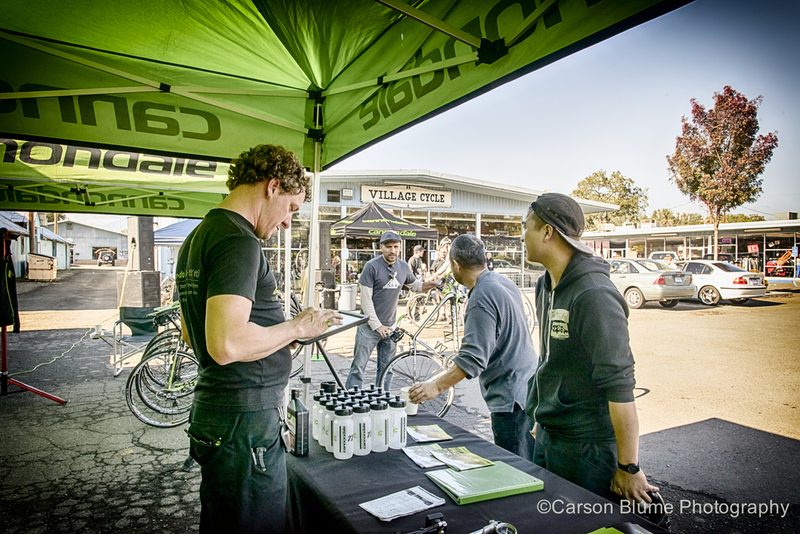 It gave way to a killer demo weekend starting off with Sam spinning some tunes outside the newly remodeled Village Cycle and the Cannondale Demo Truck sending a bunch of people out on bikes. Then Sunday came the Swasey Recreational Area Dirt Demo. As you can see, good times were had, about 70 people road bikes. Meagan and I took out out Trigger 27.5's. I felt like this is a pretty good all around bike for me, they area calling it a quiver killer. It rolled up Escalator with ease and then a flick of the switch to add suspension travel and slack out the geometry then a drop of the dropper post its ready to bomb Terminator, pretty slick. I could tell I was not on a 29er for sure but it also didn't feel like a little kids bike since I have been on my Epic 29er for so long. STRAVA FLYBY of the ride! Dallas and Andy were all smiles. 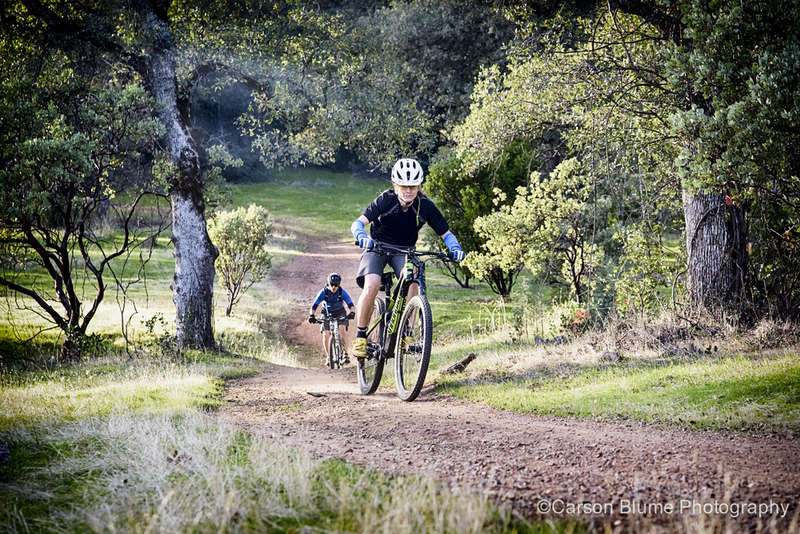 Meagan Yates will be joining Ride Redding as Co-Director. 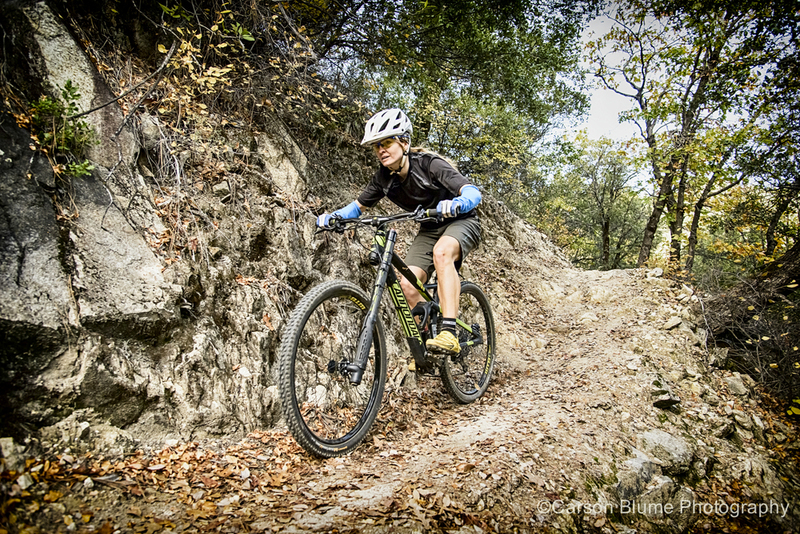 So I demo’d the new cannondale Jekyll this week and though I showed up just looking forward to having some time on the trail with a few buddies, I ended up getting quite the eye opening experience. 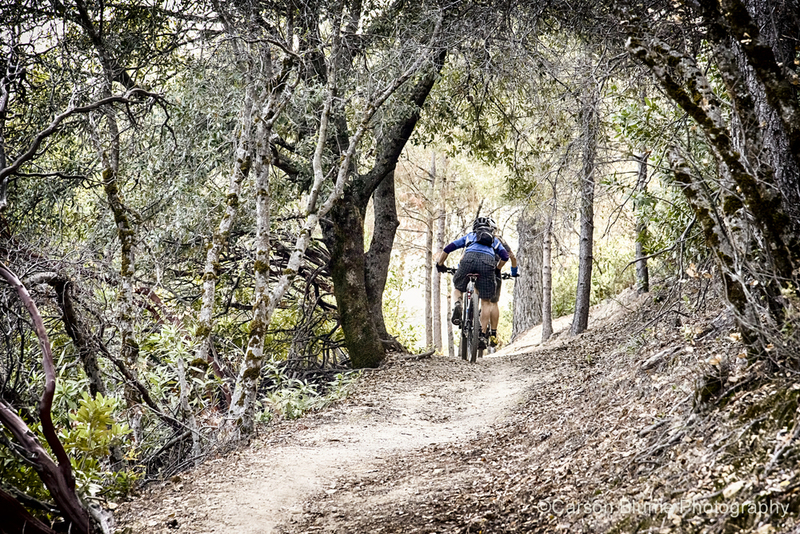 When they handed me the bike, my eyes immediately went to the single stanchioned front shock. I’d seen them in magazines and thought they looked unstable and overly trendy. “They’re waaaay lighter” a fellow rider chided in, seeing the bemused look on my face. “Uh-huh”, I thought. “We’ll see...” So we headed off to the trail on our flashy bikes and started up our first hill. Did I mention it was a 27.5”? It was. Trendy. I’m a devout 26” er. I giggled inside and began the ascent. Ok so funny thing- it climbed like my road bike. No joke. It was the strangest feeling. I’m not the most enthusiastic climber- I do it because I have to- but I actually enjoyed this part because it felt so much easier. The Jekyll descended like a champ. Nothing better than demo-ing a freshly lubed suspension. Dang it. Now I actually want one of those flashy trendy single stanchion bikes. Ah well, my 26ers will do me just fine this coming race season, but when I wear them out and bury them, who knows. I may just be converted. O, and there was a Co siting! Carson Blume Photography by http://www.carsonblume.com is licensed under a Creative Commons Attribution-NonCommercial-NoDerivatives 4.0 International License.